Five years ago, the words "Brick + Mortar" had a totally different meaning to most people outside the state of New Jersey. It either meant that someone's favorite online shop was opening an actual store (sick! ), or someone was going to a show at the iconic venue in San Francisco. At this time, I often frequented Atlantic City—either for friends' birthdays at the Trop, or to devour an insane cheesesteak at local dive bar-slash-venue, the Boneyard. It was at the latter haunt that I partied hard on a week night, and got my first taste of Brick + Mortar—the band (from Toms River). Even back then, performing to a crowd of probably 15, frontman Brandon Asraf and drummer John Tacon commanded the room, forcing people out of their comfort zone, and calling me out when I went to the bathroom. "Hey, you! Yeah, you! Where are you going?" (or something similar shouted by Asraf as I headed for the door...I stayed put). 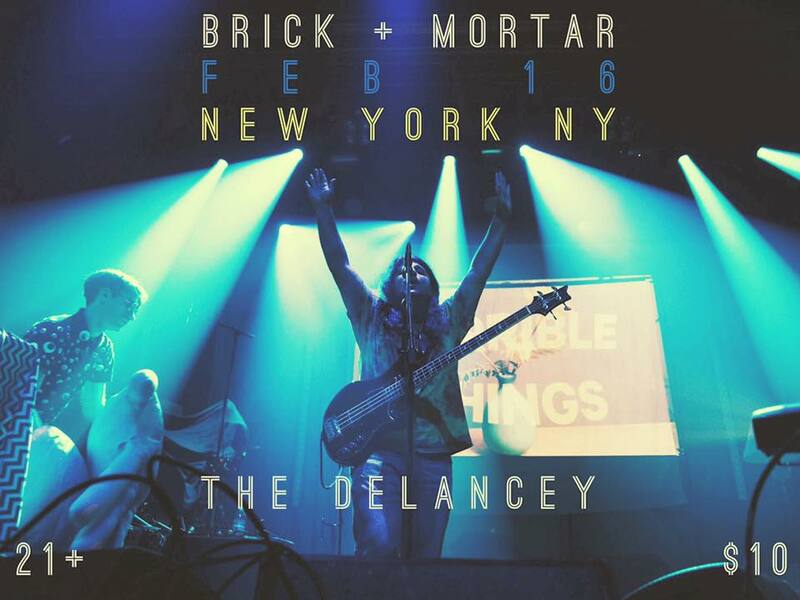 Since then, I have seen Brick + Mortar popping up on various festival lineups, instantly texting my friends from the night so long ago, "Dude! That band we saw at the Boneyard got famous! "—and they deserve it. With just three EP's under their belt, and their first full-length still on its way, Brick + Mortar have toured with the likes of Motion City Soundtrack and The Front Bottoms, have crushed at Riot Fest, and have had tracks featured on both the big and small screens. With Dead Moon soon to arrive, I can only imagine what Brick + Mortar's success will look like over the next year. Although they don't have a current tour announced, the "Train" musicians will be performing tonight at The Delancey in NYC and you won't want to miss it. Here's to the duo blowing up with the forthcoming release of their debut LP, and hopefully someday celebrating with an anniversary show on Virginia Avenue that shakes AC to its core. 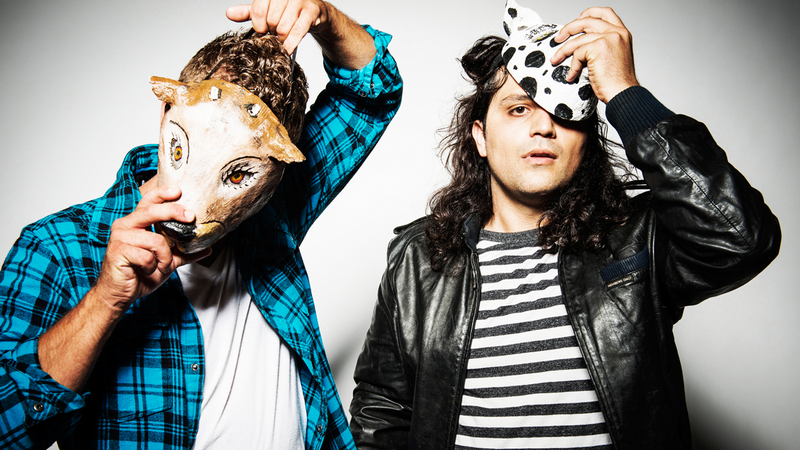 Check out our Q&A with Asraf and Tacon below, then Get Tickets to their show tonight here! New Jersey gets such a bad rep sometimes--can you tell the haters, what's the best thing about being a band from NJ? John: Being from NJ definitely makes you a bit more rude but also hopefully a bit more industrious. Can't-miss venue in Asbury Park? Brandon: I would love to say ASBURY LANES but it is no longer with us! So I am going to say House Of Independents. It's got the best sound system in Asbury Park. John: RIP ASBURY LANES. House of Independents is a pretty sweet place to play. Who were each of your first concerts? Brandon: Mine was actually NJ Bloodline and Tacon took me. It was at the Asbury Skate Park and the band seemed to be more about body slamming people through tables than songs. I remember blood, so they did live up to the title. John: It's so Jersey, but Bruce Springsteen. I remember being bored halfway through and looking at all the old people dancing. One spot you have to hit up every time you're in NYC? Brandon: The Starbucks bathroom. I dig Webster Hall a lot! Venue sounds perfect. John: The good food place near the venue we play at. Are you guys reading / watching / listening to anything in the bus/van on this run? Brandon: I am terrible at listening to new music. Music is more of a personal expression like a therapy of sorts, but I am a movie/TV junkie lately. I am all about "60 Days In" 'cause I love seeing the inside of jail. I have a real soft spot for anything criminal, but in reality I am like Jim Carrey in The Cable Guy and am addicted to TV/movies. John: I listen to a lot of different stuff from Vulfpeck to Anderson .Paak to J Dilla and so many in between. Brandon sleeps and watches movies while Feeny (our tour manager) and I drive haha. I would like to read more on tour. The album art for your latest release, Dropped, is so sick--I have to know if you could have a cake delivered to any other band, who would it be and what would you write on it? We actually already lived this fantasy on tour. It was an ice cream cake we got for Manchester Orchestra. If I remember correctly, we had a Ben and Jerry's store draw on a huge weed leaf along with the classy phrase "Manchester Orchestra has huge d***s."
What can we find on your merch table at The Delancey tonight? Cake??? We have all that good sh*t that keeps the band, you know, ALIVE!! A lot of our designs are made by Richie Brown who is a big part of our show. I know you're big culture/art/film guys--if Brick + Mortar could perform the soundtrack to any movie live onstage, what would it be? Brandon: I world love to try my hand at Fight Club. John: The score to the first season of "True Detective", for sure. It's so creepy and percussive. Brandon: Rage Against the Machine (with Zac), the original Doors, Demon Fuzz, Biggie, Beastie Boys, Beck, Radiohead, Pink Floyd, Bob Marley. John: That plus Animal Collective, Death Grips, and Herbie Hancock. Favorite track to perform live? Brandon: Lately "Move To The Ocean"
John: Probably "Old Boy" because I get to go nuts on the drums.